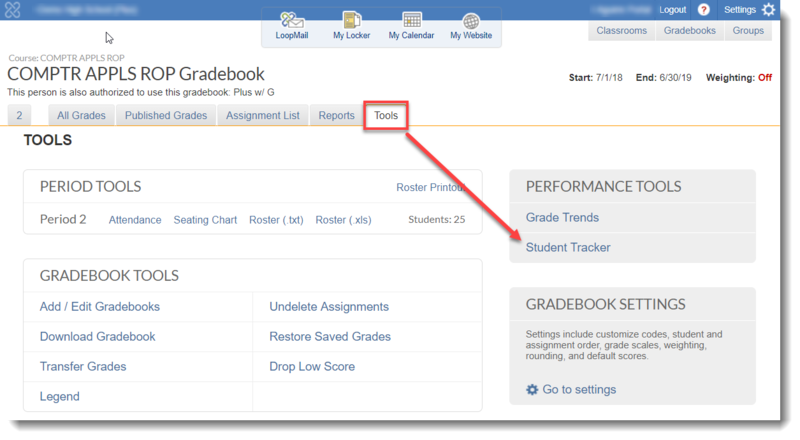 Performance Tools section in your Gradebook includes links to pages that allow you to check how the students are doing. It includes links to the Grade Trends and the Student Tracker. This section is found in the Tools tab of the Gradebook. This article provides additional information regarding the Student Tracker feature of Performance Tools. The Student Tracker feature displays how the students are performing overall in each of their classes. There are filters that can be applied to narrow down the list of students based on the chosen criteria (e.g. trending and number of zeros). An option to create a LoopMail message is also provided. This email can be addressed to any combination of students, their parents, and teachers. The High Priority Groups section contains a list of students included in any of the high priority groups for the school. Such groups include students with less than 70% in 2 or more classes. 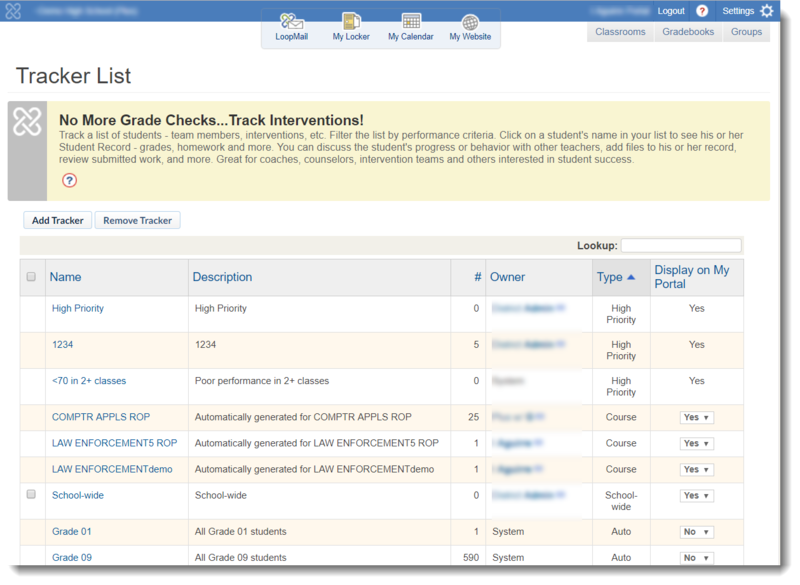 A high priority group is automatically populated by the School Loop system based on grades published by teachers. Also included are the students who meet the criteria for other high priority groups which are created and manually updated by the school administrators.